Could I Be Going Through Another Midlife Crisis? Daniel St.Pierre October 3, 2018 No Comments on Could I Be Going Through Another Midlife Crisis? Although I’ve possibly had the best summer of my life, I have to admit I miss my old pawn shop rescued e39. Remember that pile of junk I found on Craigslist for $500? Then by the grace of God, I brought the car back to life and drove it for over a year, creating more driving related memories with my girls that will last beyond my lifetime. Well there you have it. A second (or 3rd) midlife crisis. After about a year of driving our beloved Chevy Silverado, and our well appreciated Dodge minivan (that left my family of 6 and my mother in law stranded in Orlando last weekend), I find myself missing the driving experience I thoroughly enjoyed in the 540i in spite of the fact it was, after all, a 20 year old car. 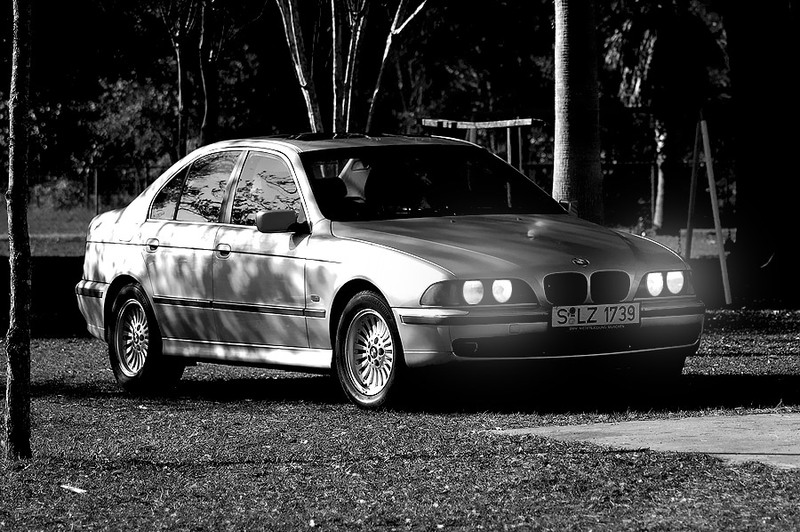 You see, what makes my life a little difficult is, my buddy Stephan owns a newer model of the very same car, same color, same model (540i – e39 series) except his car is a showroom quality, 5.4L 6 speed road & track beast while mine was, at best salvage condition. Never the less, I give praise to our Lord for blessing my family and I with such an amazing car, and look forward to one day owning another one, God willing.